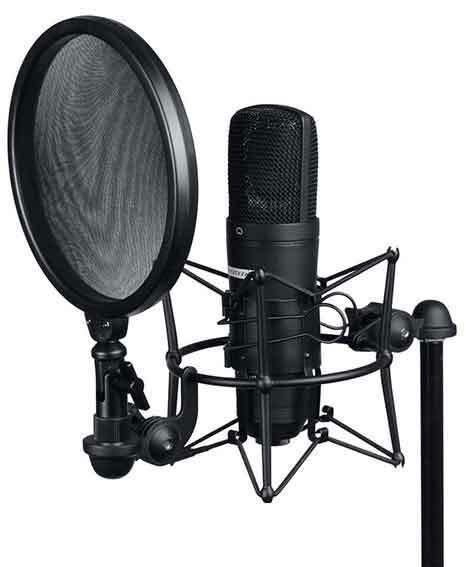 Microphone Pop filters are typical tools of the trade for audio recording and used both in live and studio applications. They assist in reducing air pressure the vocalist produces such as wind current, breath blasts, and vocal plosives. Lets take a look at what they do, the different types and how and how to setup a pop filter correctly. What is a pop filter? 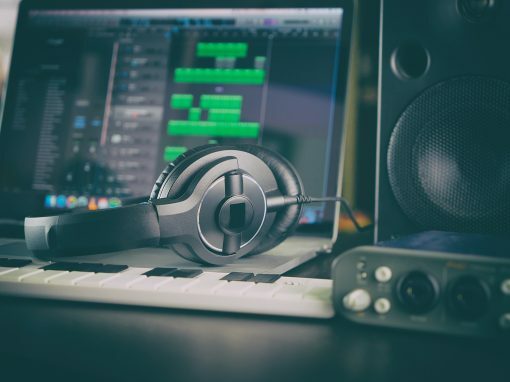 Pop Shield, pop filter, mic pop filter or pop screen is a microphone accessory that prevents popping or sibilance and used during a recording session in a studio. Sibilance is caused when you say a word with a “shhh” sound like “sheep,” and when you play the audio back, you will notice a harshness and possible distortion on the “sh” part of the word. Pop filters are usually made of tightly woven nylon stretched across a circular frame that diffuses the burst of sound. There are also metal pop screens which use a thin, fine mesh metal screen in place of nylon which helps to redirect the airflow downward and away from the microphone. These accessories are easily attached to a mic stand and will reduce or eliminate the annoying sounds you can get when recording. Another benefit is it helps to protect your microphone. The salt in your saliva is corrosive, and the use of a pop shield will prevent you spluttering (unintentionally, of course) all over your expensive microphone and may well prolong the life of your mic as a result. What does a pop filters do? As mentioned above, pops and thumps occur mainly on what are known as ‘plosive’ sounds. We tend to expel a blast of air when making these sounds while speaking or singing and if you held a lighted candle in front of your lips at that moment you’d see the flame flicker. This doesn’t happen when you sing a sustained ‘Ahh’ sound, as you’re mainly producing sound vibration with your vocal chords, expelling very little air in the process and the candle will barely flicker at all. Usually if you want to improve your audio easily you take advantage of the “proximity effect” which is speaking as close to the microphone as you can get. Your voice instantly becomes deeper, smoother and clearer. However, now it becomes very vulnerable to the puffs of air coming out of your mouth. 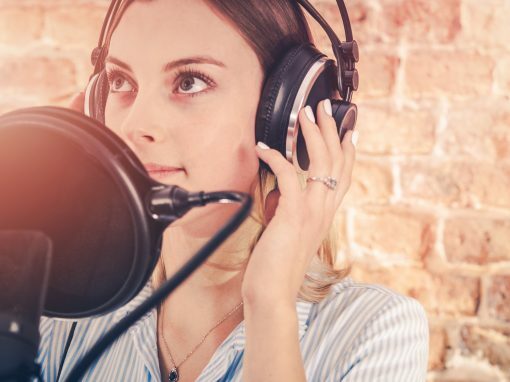 If your mouth is too close to the microphone during a recording session, the popping sound is amplified as the sound waves interact with the microphone diaphragm. What do pop filters does is as the sound (blast of air) from the artist’s mouth passes through the mesh, it breaks up, randomizing the air molecules and pushing them in separate directions. A slight high-frequency reduction can happen, but the plosives are entirely stopped. The pop filter essentially performs as a barrier between the plosive sounds and the microphone, cutting out both the high end and low end. Many designs include two layers of mesh a small distance apart. Anything that gets through the first layer is caught by the second making the pop screens more effective. 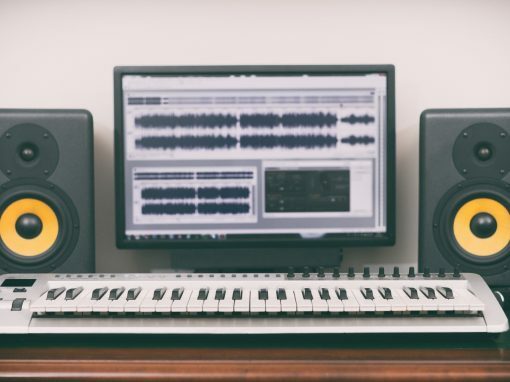 By cutting out issues on the high and the low-end, editing of unwanted sounds and frequencies is easier and produces a higher quality recording. 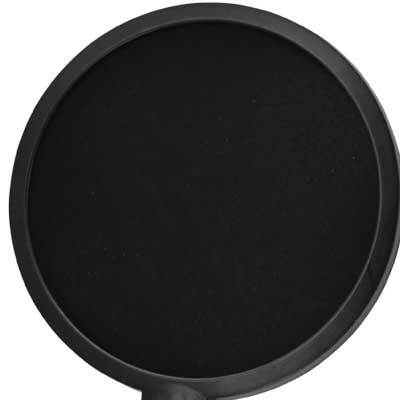 A pop filter also protects your equipment by keeping moisture off your microphone. 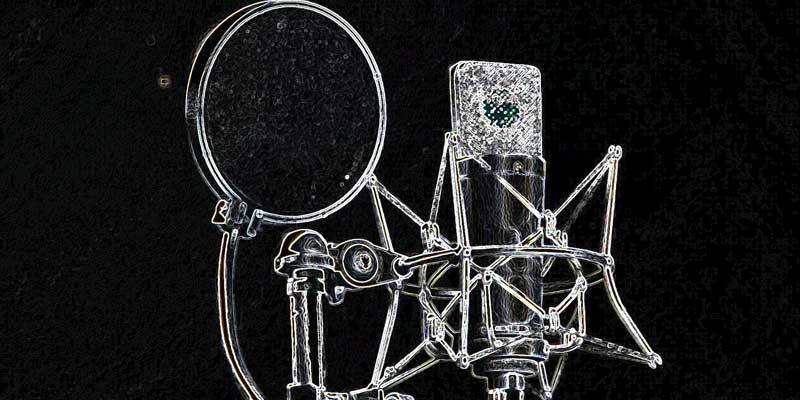 Do you need a Pop Filter to record Vocals? You don’t need one however it does stop the wind from hitting the mic and creating the horrible annoying massive thump sound. It’s also easier to get rid of now rather than in the editing. If you don’t have one on hand, you can easily make one. We have a section below on making a DIY Pop Screen. Or as a last resort put a clean sock over the microphone. Did I really have to mention that it be clean? If you don’t want to go the DIY route, you can position the mic slightly off axis of the vocalist’s mouth. Getting your artist to sing into the microphone from a different angle, slightly sideways to the mic but never directly into the microphone. They can also smile during the recording to prevents the popping. Some producers suggest putting a pen in front of your lips to create a barrier that helps break the air flow. Metal pop filters are durable and designed with wider holes having less effect on high frequencies. They usually are smaller in size and don’t get in the way. The metal screen is thin and can be easily bent if you are not careful, and over time, metallic filters can develop a slight whistling sound. Nylon Mesh Pop Filters are great for beginners as they do the job – remove plosives. They are inexpensive and the standard in the industry. 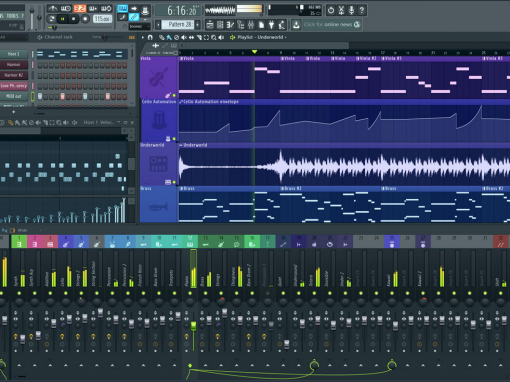 Beginner Producers need to be aware high frequencies can be removed. They also aren’t as robust as a metal screen as the nylon mesh is delicate and can easily be damaged. These shields are a disc of hydrophobic foam construction supported by a minimalist U shaped wire holder. The foam will not absorb moisture from the vocalist breath and repels water eliminating the typical distortion and coloration that plagues your vocals when breath moisture collects on your pop filter. The open-cell foam can be easily removed from the wire holder and washed. The wire holder itself is also sonically transparent. Different types of microphones may already have the pop filters built into the cone. The majority of dynamic microphones have pop filters built in while condenser microphones usually don’t. Although not a true Pop Filter a Windscreen filter can be used interchangeably to perform the same task. Windscreens are designed to fit tightly over the microphone casing and are usually made from a foam material. 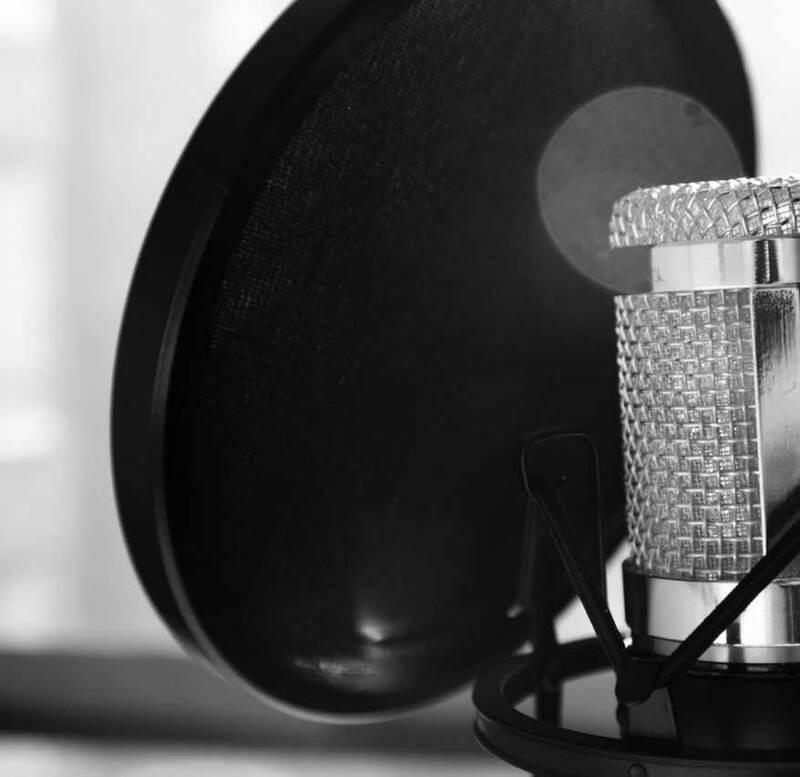 Although many microphones combine an internal windscreen in a mic to protect it, they can still benefit from the extra sound pressure protection in certain situations. A mic windscreen often will dampen higher frequencies more than a pop. Your microphone setup includes where you place your pop shield. How far you position your pop filter depends on the amount of power the artist is going to communicate while recording. The further away the pop filter screen is from the mike, the lesser amount of pops they’ll be. More distance means you will need to increase your microphone gain and more gain means more room noise. As a general rule of thumb place the pop filter about a palms distance from the mic for the loud, hard rocking style of singing. Place the screen about 2 to 3 fingers away from the microphone if recording softer intimate singing. Don’t allow the vocalist to push against the pop filter with their mouth. When a singer is quite close to the pop filter as they sing they may start to push against it. This causes the distance between the shield and the microphone to get shorter as its also pushed onto the mike and will make the protection ineffective. It is crucial that the filter is spaced a couple of inches in front of the mic capsule as there has to be a volume of still air between the pop shield and mic capsule. 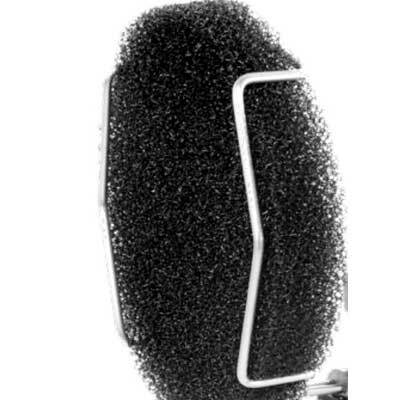 Pop shields depend on the volume of still air that you create around a microphone, and are designed to create still air between the shield and the mic. 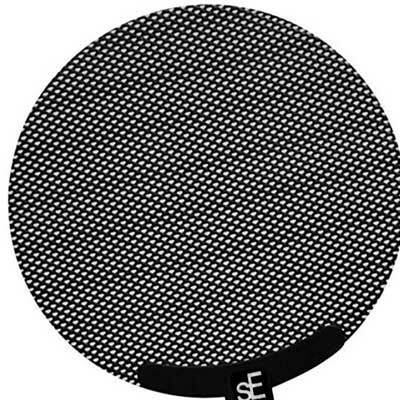 Many pop filters have a standard diameter of 6″. The bigger the filter diameter is, the more versatility the vocalist has letting the artist use their natural body movements during a recording session rather than restricting them to one position. Smaller filters are available with 4″ being the most common. They are lighter and perfect for small microphones and recording areas. Most manufacturers choose to make their pop filters using nylon or other fabric materials which is a cheaper option and works well. However, an alternative is a woven or perforated metal which claims to give improved clarity mostly in the upper frequencies. Both used by beginners and experienced user. The position of the filter is vital, and you don’t want one that droops, requires constant adjustments or too much effort to bend into place. The flexibility, stability, and length all play a pivotal role in positioning the filter. Clamping and mounting mechanisms are usually included with the pop filters and should work well with a microphone stand. If your recording with a desktop mounted microphone, you’d need one that can clip directly to the desk or the mike itself. Not much to say here if as its pretty easy if you want to make a homemade pop filter. Use a sewing circle or a coat hanger wire made into a ring. Wrap a leg from a pair of pantyhose over the circle you made. I find the coat hanger works best as you can make a stand with it as well. Another option is using paper and tissue you have around the house as described in the video below. 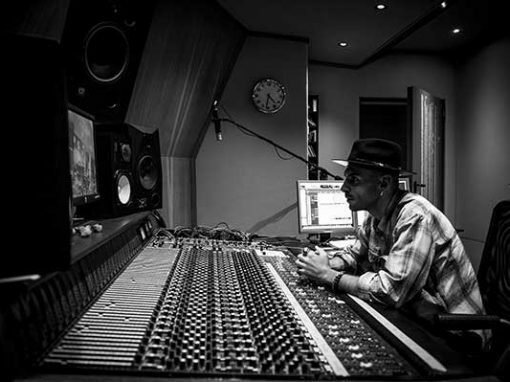 Although there are a variety of stands, the basic concept is it allows the mike to be used in the recording studio or on stage without anyone holding it. Instead, you would use this free-standing mount. Usually with either a tripod base or round metal circular base. The telescoping tubes are capable of adjusting the height of the stand. There are microphone stand kits which include pop filters. To make the microphone stand even more useful pickup a few accessories such an boom or arm stand, Arm Mount and Stand Clamp. Most of these are designed to place the mic closer to the vocalist without putting the upright portion of the mike stands directly in front of the artist. There are tons of pop screens and filters available on the market. Investment into one will only help the microphones your using for singing, vocal recordings and overall production quality. 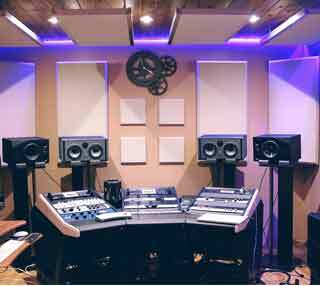 Want other Home Recording Tips tips check out the rest of our website.